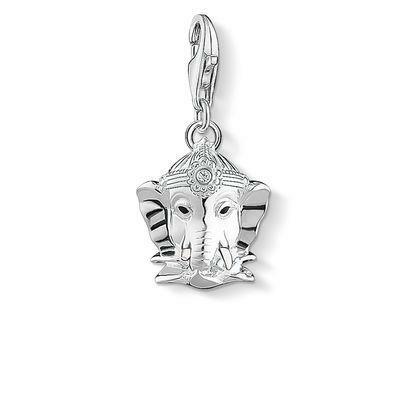 The Ganesh charm is a wonderful addition to your collection. The deity symbolises all positive cosmic energies. This symbol of prosperity, joy and love is crafted in Sterling Silver with black Enamel detail. Wear the Ganesh Charm on a Charm Club Bracelet or Necklace with other talismans such as the Evil Eye and Buddha for a jewellery collection that radiates positive energy and celebrates Boho chic.